SIGGRAPH 2012 – Los Angeles, CA – August 7, 2012 – The LightWave 3D® Group, a division of NewTek, Inc., announced today LightWave 11.5, a powerful new edition of its Emmy® Award-winning 3D modeling, animation and rendering software. A complete 3D pipeline, LightWave 11.5 includes many new features to streamline productivity, including a new Genoma character animation and rigging system for Modeler, predator and prey flocking, Instancing, soft-body Bullet Dynamics, interchange support for Adobe After Effects and Pixologic’s GoZ Fiber Mesh, major workflow enhancements, and more. A new modular instant-rigging system that can be used to quickly rig a simple biped or quadruped for animation in Modeler without the need for specialized rigging tools. 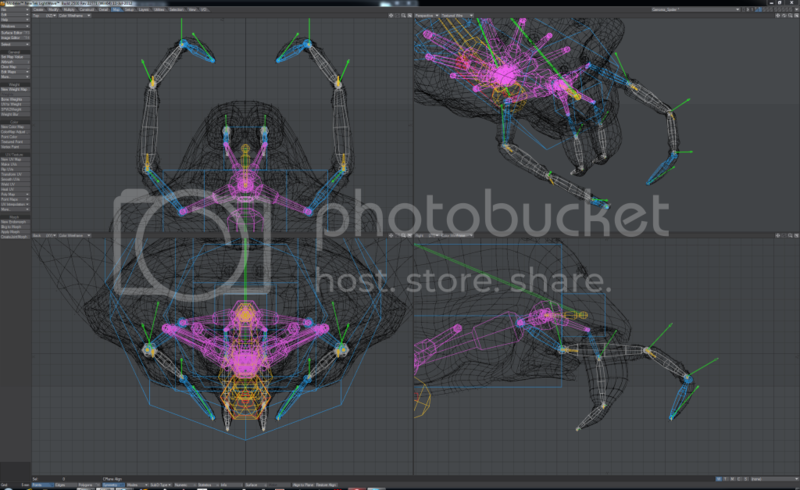 It offers modular rig presets that consist of skeletal parts such as spines, wings, arms, legs, hands and feet. Complete rigs for biped and quadrupeds can easily be customized using Genoma. New functionality and architectural advancements in Modeler allow for faster interactivity, performance, and tool development. LightWave 11.5 introduces many new tools like UV Unwrap, Edit Edges, Place Mesh, Slice, Thicken and Heat Shrink that emphasize the system’s power and lay the groundwork for future third-party modeling tool development. 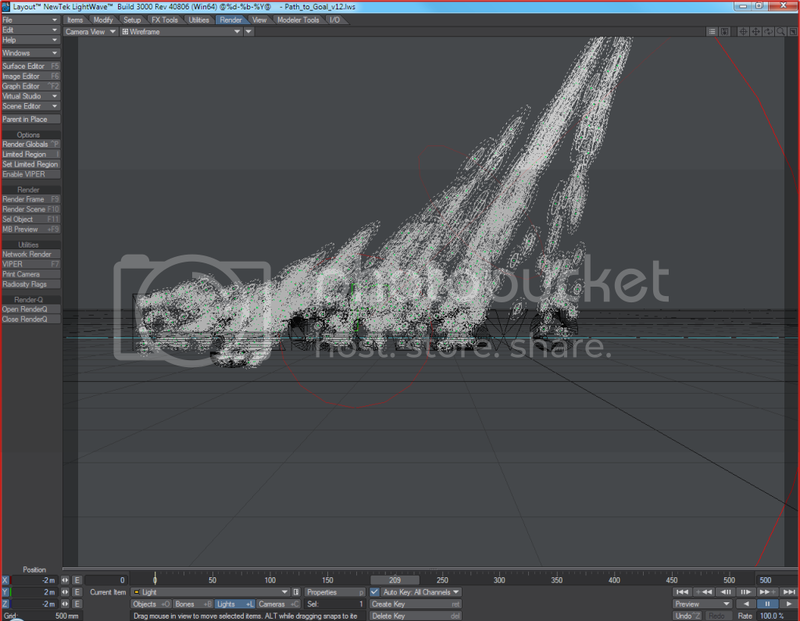 Bullet now includes soft-body dynamics for effects such as cloth, rubber, jelly or other deforming properties. Bullet meshes are also now reactive to bone deformations and wind forces can also be added for rippling effects. A specialized particle system that allows items to move in very organic ways, Flocking offers new prey and predator behaviors that allow flocks to chase other flocks or have flocking agents seek out and chase the closest prey. Neutral flocks do not chase or chase but still affect other agents for collision avoidance. Other new features include Plane, Pursuit and Arrive directors and the addition of node controls. A new GoAE button allows you to select elements in a scene and see them in Adobe After Effects—including animation, lights and camera setting. Changes can be made using Camera Tracker in After Effects before returning to Lightwave. GoZ technology for Pixologic’s ZBrush allows you to send models to and from LightWave with automatic node flows for textures and normal maps. ZBrush styling tools can also be imported to LightWave and attached to objects. Now includes Per-Object control of scale, stretch, offset, rotate and nodal controls, along with new Copy and Paste functions and Path Mode optimizations for greater flexibility and workflow. VPR transforms how artists work in LightWave with fast interactive onscreen rendering. 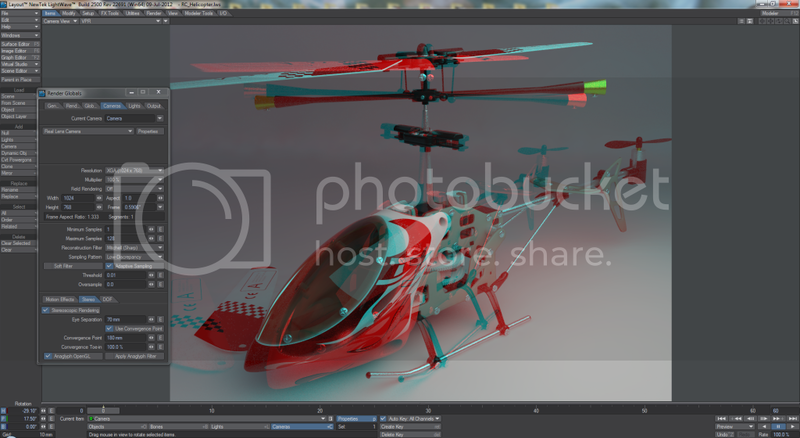 LightWave 11.5 now supports depth-of-field and motion blur effects and stereoscopic rendering in VPR. Purchase or upgrade to LightWave 11 for $1495 and automatically receive LightWave 11.5 at no extra cost when publicly available. Upgrade pricing from earlier versions of LightWave is $695. LightWave 11.5 is expected to ship Q4 2012 at a suggested retail price of US$1495. Educational pricing is also available. Visit www.lightwave3d.com to purchase or locate an authorized LightWave reseller. LightWave 3D combines a state-of-the-art renderer with powerful and intuitive modeling and animation tools. LightWave includes 999 cross-platform render nodes, support for Windows and Mac UB 64- and 32-bit operating systems, free technical support and more. LightWave is enjoyed worldwide as a complete 3D production solution for feature film and television visual effects, broadcast design, print graphics, architectural visualization, game development, and more. LightWave is responsible for more artists winning Emmy® Awards than any other 3D application. Clients include: “The X Factor,” ESPN X Games, New York Giants, NBA Development League, Fox News, BBC, NHL, Nickelodeon, CBS Radio, ESPN Radio, Fox Sports, MTV, TWiT.TV, USA TODAY, and National Aeronautics and Space Administration (NASA). NewTek products have been used in feature films and television shows, including “The Amazing Spider-Man,” “The Hunger Games,” “Avatar,” “The Adventures of Tintin,” “The Walking Dead,” “Fringe,” “CSI: Crime Scene Investigation,” and more. • LightWave 3D is a registered trademark of NewTek. • NewTek, TriCaster, 3Play and LightWave are trademarks of NewTek. • All other products or brand names mentioned are trademarks or registered trademarks of their respective holders.